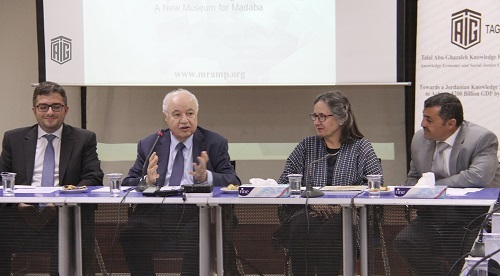 AMMAN - The Madaba Regional Archaeological Museum Project (MRAMP), an Italian-American-Jordanian collaboration committed to establishing a new Regional Archaeological Museum in the city of Madaba, southwest of the capital Amman, was officially announced in a special ceremony held at Talal Abu Ghazaleh Forum. The project started in 2016 at the Archaeological Park West of Madaba with the aim of building a new and comprehensive archaeological muse-um for Madaba city. The project is co-directed by Douglas Clark (La Si-erra University), Andrea Polcaro (Perugia University), Marta D’Andrea (Rome Sapienza University) and Suzanne Richard (Gannon University) and funded and supported by USAID with a SCHEP (Sustainable Cul-tural Heritage through Engagement of Local Communities Project) grant received in 2017, housed at ACOR and the Italian Ministry of Foreign Affairs and International Cooperation. 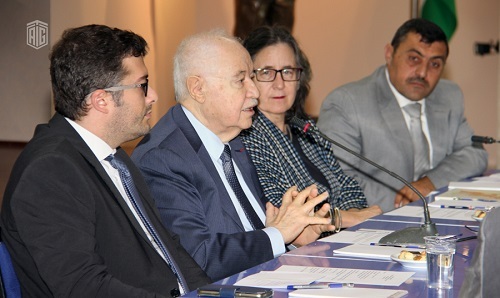 The ceremony was held under the patronage of HE Dr. Talal Abu-Ghazaleh, Federico Vidic, head of the Cultural office of the Italian Em-bassy, Barbara Porter, the ACOR director and Ali al-Khayat, assistant Director General of the Department of Archaeology. Andrea Polcaro and Douglas Clark presented the results of the first three years of work at the site and the vision of the new museum design by the architects of Studio Strati of Rome that will serve to exhibit the collec-tion of artifacts coming from all the archaeological sites in the region, be-coming a central point for sharing knowledge and implementing the tour-ist attractions of the city. Franco Sciorilli and Safa Joudeh presented the restorations made at the Archaeological Park West of Madaba on the traditional Jordanian hous-es of the Ottoman Period with the techniques used to reproduce the orig-inal mud bricks of the structures. The project aims at reaching a large public, both in the tourism and business sectors, with a larger audience of stakeholders, such as local and foreign private companies. Increasing the interest of the private sec-tor in Jordan, not only of the travel agencies but also of Italian and American companies working in Jordan in the construction and commu-nication sectors, as well as local Jordanian companies working in the re-gion of Madaba, is, in fact, essential for the final realization of the muse-um, according to the team. 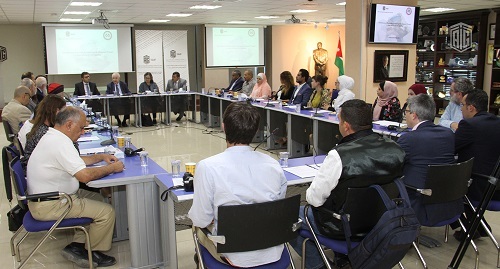 Officials also noted that the launch, which was held at TAG Forum, was thus fundamental in showing the potentiality of the work already com-pleted in Madaba and of the future work planned for the people of the city and the whole region, in terms of increasing the local economies and the tourist influx in the area.